"I am so very sorry..."
The words were out. My mouth was dry, my heart was thumping, and my despair was clearly visible. 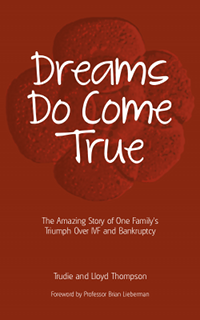 And so began Trudie and Lloyd Thompson's heart breaking 12 year journey of IVF treatment, losing a business and even bankruptcy.